Over the course of the last few years Critical Music has become a key player in the D&B scene. Led by Kasra, it continues to build release after release, now acting as an exclusive home to Enei and Foreign Concept. Tomorrow, the label releases the second installment of the ‘Sequence’ series. First up Shogun’s Spectrasoul are given the keys to ‘No Fear’, Enei’s huge track released last year on his ‘Stonehead EP’. Turning the original bouncing vibes into an even more dangerous piece of D&B is what the duo have done, bringing smashing breaks and some grizzly-arse bass into the mix to create one of their darkest productions to date. Kasra then teams up with longtime friend Cyantific for ‘Minerva’, a frenetic but brooding slice of tech-noir D&B. Full-on rolling b-lines, smacking drums and off-key FX keep this one properly twisted. 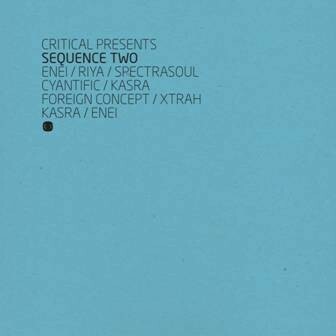 Next up it’s the turn of Foreign Concept and new face in the scene, Xtrah. ‘Harsh Reality’ is exactly that with the sound-off vocal and police sirens signaling the drop into a stripped down groove. Finishing up is another Critical collaboration between Kasra and Enei, this time opting for the cinematic sounds of ‘So Real’. Drone bass runs the roll here with snapping percussion, female vox and pads all combining for a piece of music with real depth and integrity. Have a listen below.